A native of the North Country, Sandi Dodge spent the first twenty years of her career in the health care industry. When she decided that it was time for a change, she chose real estate as her new focus because she could "still continue to help people." Bringing her skills as a caregiver and her love for people to the real estate industry quickly led to her success. 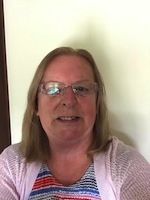 Because of her boundless enthusiasm and generous nature, many of her customers and clients have stayed in touch with her, and become wonderful friends. As Sandi notes "What more could one ask for?" Sandi is the recipient of The Ruby Award and has garnered recognition as a Top Producer and for Outstanding Performances. She donates her energy and time selflessly to numerous charities. Her love of crocheting she makes hats and donates to CHAD (Children Hospital at Dartmouth) Little Hearts Big hearts for new born premie babies and other cancer charities. In 2007 Sandi decided that it was time for yet another change and in September of that year opened her own office. 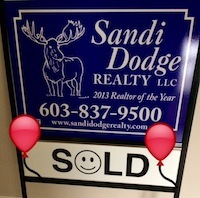 In 2013 Sandi was awarded Realtor of the Year by the NCBR (North Country Board Realtors) Sandi lives in the Whitefield area with Gary, her husband of thirty-nine years. Their three daughters, ten grandchildren and five great - grandchildren live close by, a delight for Sandi. In her free time she loves to travel with their 5-th Wheel and her favorite places to visit are Apache Junction Arizona, Maine and Florida. On her bucket list she hopes to make it back to Hawaii, visit Mexico, and Alaska.